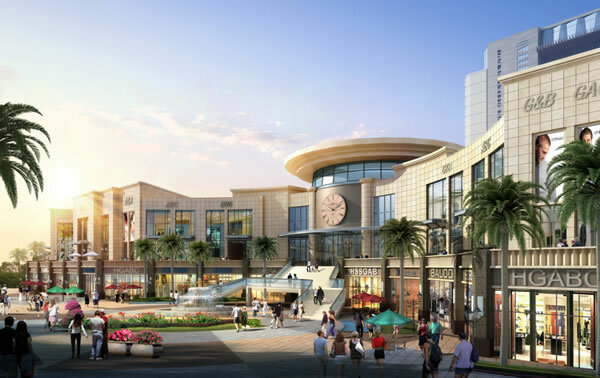 Hainan Provincial Duty Free Co Ltd (HNDF) plans to create a “duty free shopping paradise” at the Mission Hills Tourism Town Center in Haikou, Hainan Island. That’s the pledge of HNDF General Manager Zhang Yi Qing speaking at a press conference in Beijing last week just after the announcement of the organisation’s first off-airport store at the spectacular leisure complex. As reported, DFS Group will provide a range of specialist retail services to HNDF. Under Hainan’s offshore duty free shopping policy introduced in 2011, travellers from the Mainland can buy duty free goods up to the value of RMB8,000 (US$1,275). 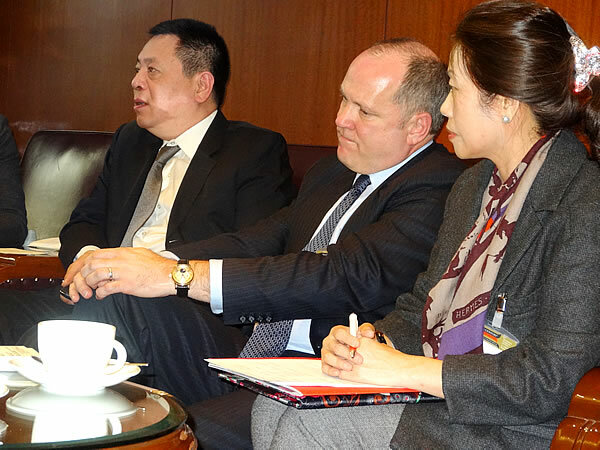 Asked by The Moodie Report, how ambitious the project is in quality terms, Zhang replied: “The provincial government of Hainan wants to further develop offshore duty free shopping in Hainan, so they want to turn our project into a flagship duty free shop. "For the Mission Hills duty free store… the actual business operating area is very large. 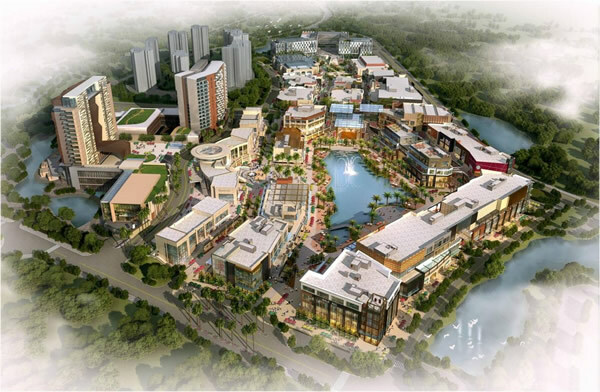 It will be over 100,000sq m, where we will have different models of retail operations. One is offshore duty free and we will also have duty paid. For offshore duty free shopping we not only want to offer dozens of luxury brands to our customers but we also want to turn this Mission Hills store into a shopping paradise for all tourists to Hainan Island. "Because the store will be located in such a high-profile scenic location, we want it to actually be part of the scenery,” he said. Zhang said DFS Group’s “many years of retail experience” would be critical to achieving that aim and to ensuring the store was a success. An ebullient Mission Hills Group Executive Director Rita Shiu outlined the grand vision of the project. She explained that the central and provincial governments had taken the decision in 2009 to turn Hainan Island into a national tourist island. The Mission Hills project was a major step forward in achieving that goal she said, offering “one of the purest tourist destinations” on the island. The sprawling leisure development will offer 12 world-class golf courses and a whole “tourist experience” besides, she promised. Shiu said that the total land area for the Mission Hills Resort is about 20sq kilometres – “so that’s almost one-third the size of Hong Kong Island. "Besides the size we also want to provide a unique experience for our visitors. The location is key to our development as we are only ten minutes away from Haikou Meilan Airport and only ten minutes away from the downtown area of Haikou. So we will be the first destination and also the last stop for visitors to Haikou. Asked by a local reporter about Mission Hills’ reputation as a golfing retreat for male Chinese businessmen, Chiu promised a diverse range of attractions to attract women and families too, including a theme park in the future. “We will try to avoid creating golf widows,” she joked. DFS Chief Operating Officer Michael Schriver welcomed the opportunity to be involved in the Mission Hills project, noting that DFS is a pioneer of offshore duty-free. “In Okinawa in 2005 we opened the first offshore duty free for Japanese travellers traveling to Okinawa by plane, an emphasis that’s been especially successful since the year 2005,” he said. "In fact here in Hainan the government officials that were considering a change in regulations to allow offshore duty free came and visited our store and studied the processes, the systems we used, and the customs laws in order to ensure that everything was well-controlled. So we’re a believer in offshore duty free and providing great value to the consumer as well as keeping the shopping at home – thus allowing the Chinese to travel within China and get the same value that they get by traveling abroad.